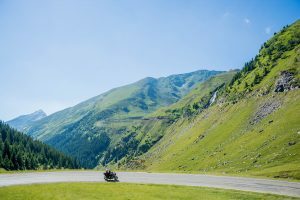 Motorcycle touring is an extremely exciting and adventurous thing to do. 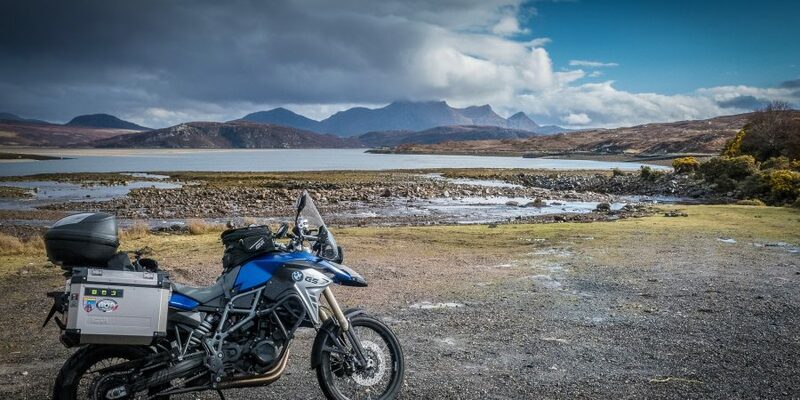 Touring on a motorbike gives you chance to really experience the places you’re riding through, rather than just flying overhead and arriving at a set destination. You’re more exposed to the surroundings on a bike compared to vehicles with an outer shell, so you can feel more involved with what is happening around you. For some people touring by bike is the only way they want to travel, so TFX Suspension have created these points for you to consider. Double check the MOT and Tax on your bike before you set off; if they run out while you’re away it could affect your insurance. 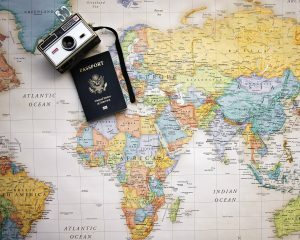 Make sure your insurance provider covers you while you travel. It’s worth giving them a call to discuss where you plan on going, what happens if you have an accident or if your bikes stolen. It’s a good idea to have these details printed off or saved on your phone so if you are unlucky enough to have anything go wrong, all of your information is to hand. Remember if anything does happen contact your insurer immediately and always take photographs of everything. Check the maximum load for your motorbike, don’t overload it or you will affect the handling and balance. Try and carry the least luggage as possible, the fact is the less you carry the lighter your bike will be. A lighter bike is better all round, it will feel nicer to ride which means more fun can be had! After you have your luggage sorted remember to adjust your tyre pressures, due to the added weight. Once you’ve adjusted everything and have the luggage on the bike, you should take it on a road test to make sure it’s running as you hoped. This gives you time to make the changes required, you don’t want to be in a mad panic just before you set off. This is something that can be forgotten about, but is an absolute killer! It depends what seat your motorbike has, it might be a touring bike which is made for long journeys. Or you might have brought a bike that wasn’t really made for going long distances, but you want to adapt it. There are a couple of different things you can do, such as a Airhawk. We would also advise moving about a bit, by shifting to the front or the back of your seat your knees will be bent at slightly different angles, which gives some relief on long journeys. 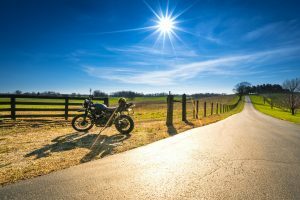 Wherever you want to ride, make sure you read up on all the rules of the road first. It can change massively between the countries, for example France has quite a few stipulations. Try to learn what the road signs mean, some can look similar to the UK but mean something completely different depending on where you are. ✓ What do you want to see along the way? No one wants to think about it but try and have a bad weather route just in case. If the weather turns cloudy and rainy, it’s not a great day to be wasting amazing views through mountain passes. If you do need to change your route at the last minute always have a good map to hand. Michelin is a great provider; their maps have masses of information which you’ll be grateful for when trying to figure out where to head. ✓ Most importantly – Plan your rest stops! When touring long distances, it’s important to make sure you don’t overdo it and ride for too long. We’d suggest stopping every 2 hours for 15-30 minutes. Getting a bite to eat, a drink and just having a walk did can do you good. If you start to push yourself and go longer the journey can become more like hard work than for the love of the riding. Everyone has their own limits, so you’ll find these as you go. These things create an even greater demand on your suspension, so adjusting your motorcycle suspension correctly is extremely important. Bike suspension affects a lot of things, such as comfort, handling and safety. Tuning your suspension is not a black art but does require some knowledge. We wrote a blog explaining motorcycle suspension and how to adjust but if you have specific requirements and would like some extra advice call on +31 (0)495 750529 or email sales@tfxsuspension.com. TFX Suspension would be happy to talk you through your options.